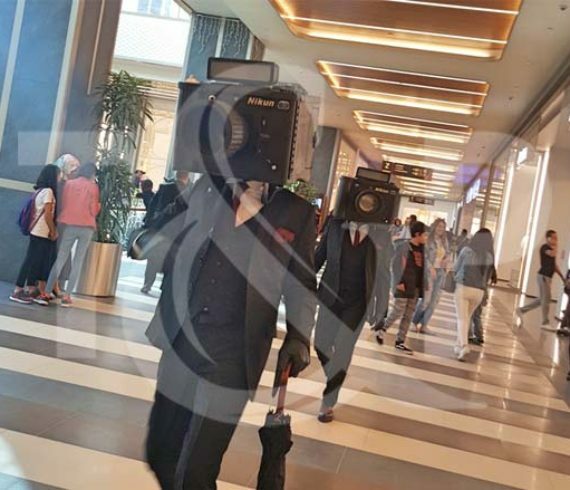 Our photomen were in Turkey at the brand new Istmarina Shopping Mall in Istanbul. For a few days, they had the privilege to take part in the opening of this new shopping center in the heart of the city. Our entertainment company just spent 14 marvelous days in Istanbul entertaining people during the Istanbul Tulip Festival. Our various walk about companies did a wonderful job performing about 3 to 4 times a day under the sparkling sun of Istanbul. The Tulip festival takes place in different parts of Istanbul. It is an open air festival with musicians singers, painters, etc… More pictures of our entertainers and animation will soon follow on our Facebook account. At Talents & Productions we love to work on amazing projects with some great entertainment. That is what we just did in Istanbul, Turkey. For the opening of the Istanbul Shopping Festival, we brought 6 performers from our incredible WATER ROCKET SHOW. Wakeboarding, surfing, kite-surfing and jet-skiing, which is a combination of extreme sports flyboard The group exhibiting the cool waters of the Bosphorus thrilled audiences from time to time. Water Rocket members, captivating views across the Bosphorus said they were very impressed. The press was totally amazed by our show and we got many newspapers clips: http://www.denizhaber.com/HABER/36007/19/water-rocket-gurubu-istanbul-bogazi-.html http://www.turizmhabercisi.com/shopping-feste-gorkemli-acilis.html More pictures of this incredible show can be seen on our FACEBOOK account. No surprising that we have already received many other inquiries about this sensational WATER ROCKET SHOW.